The PGA Tour rolls on this week to Hilton Head Island, S.C., for the RBC Heritage at Harbour Town Golf Links. 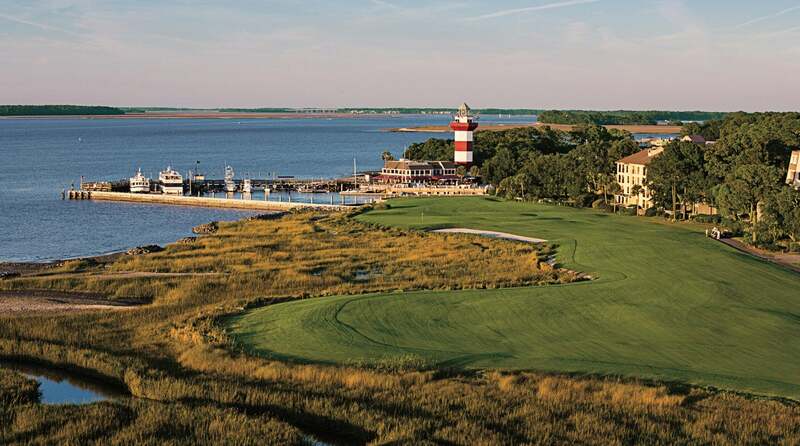 Harbour Town Golf Links is one of three 18-hole courses that are a part of Sea Pines Resort. Heron Point and Atlantic Dunes are the other two courses. But Harbour Town, rated as one of the 20 most difficult courses on Tour last year, is the lone track used for the RBC Heritage. It’s been the host of the event since its inception in 1969, when Arnold Palmer came out on top. Here’s three things you need to know about Harbour Town Golf Links, which opened for business in 1967. The 18th hole at Harbour Town Golf Links is as scenic as it gets. The design of the course: Harbour Town Golf Links is a par-71 course that runs 7,099 yards and was built by Pete Dye and player consultant Jack Nicklaus. It’s one of the shortest courses on the PGA Tour, which means finesse and shot-making are prioritized over power and strength. The course is relatively flat, but the greens are small, sloping and slick and full of subtle breaks. Not to mention, lagoons and other bodies of water surround the greens, too. The course has narrow fairways that are lined by a variety of trees that overhang, including palmettos and oak trees. The most difficult hole: The par-4 3rd hole, which runs 469 yards, has the highest scoring average of any of the par-4s on the course (4.204). Because of the numerous trees that line both sides of the fairways, a straight shot off the tee to the center of the fairway is a must. Four bunkers, three of which are to the right, surround the green. A medium- to short-iron shot is key to saving par here. The easiest hole: The par-5 2nd hole, which runs 502 yards, has the lowest scoring average of the par-5s (4.588). The 10 eagles and 183 birdies that were accumulated at this hole last year were the most at any on the course, while a course-low 24 bogeys were made here too. Long hitters can reach the green in two shot if they keep their tee shot to the left side of the fairway to open up the green.